Encrypted wireless peripheral sensors are wireless devices that utilize methods of encryption to remain secure and protected from hackers. Many of our newest and most advanced wireless sensors offer this capability for the peace of mind of the end user. 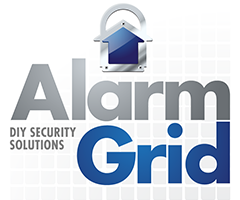 Take a look at Alarm Grid’s encrypted sensors. Until recently, most wireless peripheral sensors offered very little in terms of protection against hacking and RF jamming. While these devices generally provided great protection for homes and businesses, a smart and tech-savvy criminal could remotely hack these devices and prevent them from working properly. This left many users concerned about whether or not their homes and businesses were receiving adequate protection. However, many alarm companies have started introducing encrypted wireless sensors that are nearly impossible to take over and will virtually always work, even in the face of hacking attempts by intruders. Encrypted wireless peripheral sensors generally work by using a special type of communication with a security panel. Like any wireless security device, an encrypted wireless peripheral sensor will send commands to a security system, instructing the system to take a specific action. However, in order for this command to go through, the encrypted sensor must receive an appropriate return signal from the panel. If this response is not received, then the command will not go through, and no action will be taken. This is commonly referred to as bi-directional communication, since signals are being sent to and from the encrypted sensor. Many people call this process a “digital handshake”, and it is one of the most effective ways to ensure that the wireless sensor will be kept safe and secure. Only the latest and most advanced wireless sensors tend to include this capability. Some lineups of wireless sensors that utilize encryption include the Honeywell SiX Series sensors and the Qolsys S-Line of sensors. Since these sensors work by sending and receiving signals, they are only compatible with panels that are able to send an appropriate response signal. For this reason, only the newest and most technologically advanced security systems are compatible with these devices. When purchasing any encrypted wireless sensor, you will definitely want to make sure that the device you choose is compatible with your security panel. For example, the Honeywell Six Series sensors will only work with the Honeywell Lyric Controller, and they will not function with older Honeywell Systems, such as the Lynx Touch panels, because they cannot send a response signal to the encrypted device. Likewise, the Qolsys S-Line sensors, can only function with a Qolsys branded system, such as the IQ Panel 2. Like any wireless device, encrypted wireless peripheral sensors will have limitations in terms of signal range and battery life. Since encrypted sensors are generally the latest and most advanced types of sensors available, their battery life and range is generally superior when compared with older wireless devices. For instance, since the Six Series sensors utilize WIFI connectivity when interfacing with a system, they are capable of functioning at a range of approximately 300 feet away from the panel. Additionally, the batteries inside an encrypted wireless peripheral sensor will need to be replaced eventually. Fortunately, most of these devices can go several years without requiring a new battery. Your security panel will let you know when the batteries require replacing. How Do I Batch Enroll SiX Series Sensors on a Honeywell Lyric Controller?